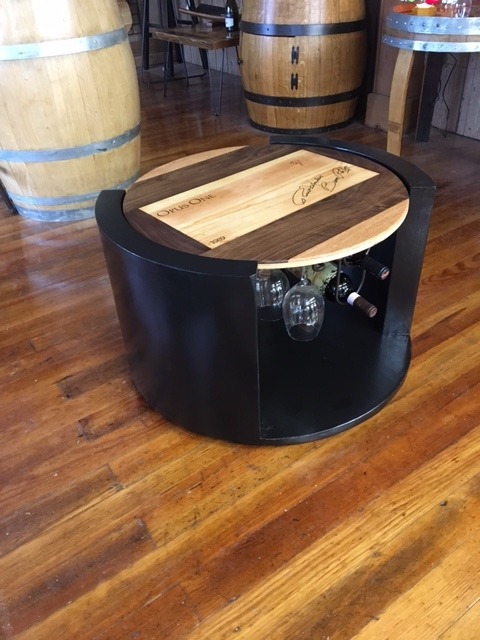 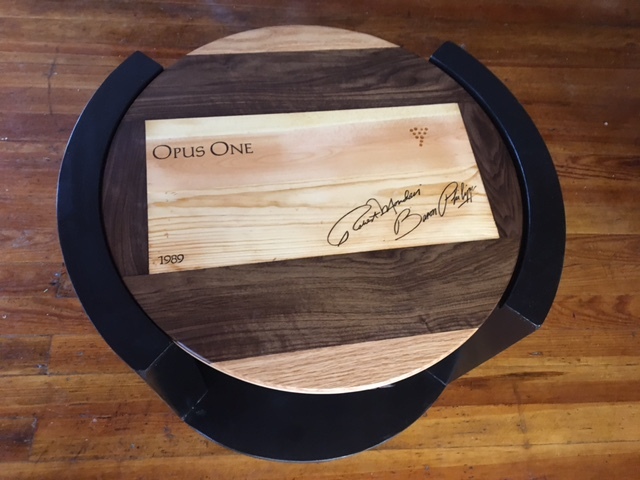 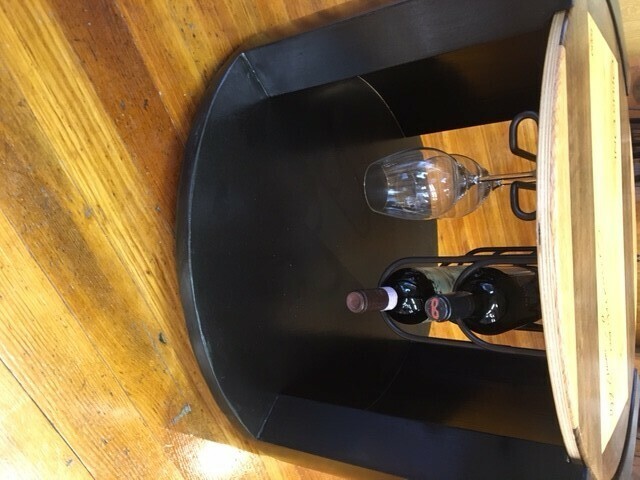 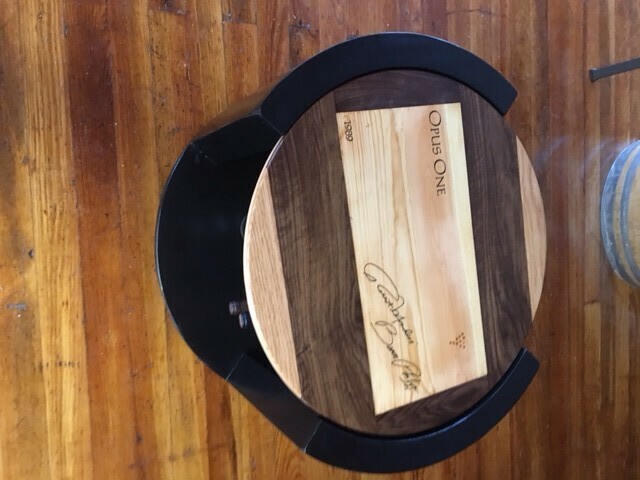 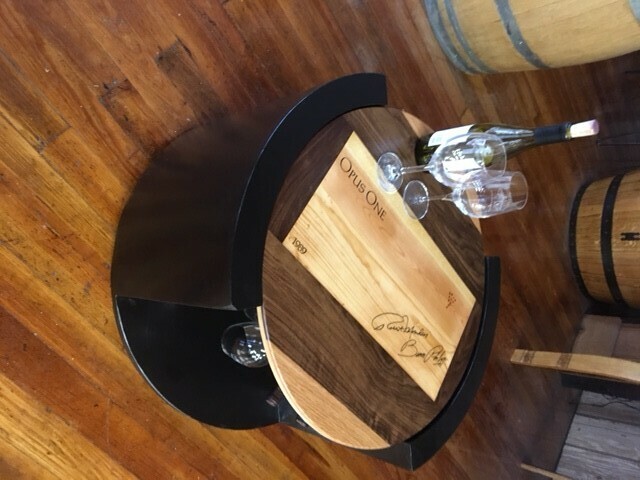 This modern style upcycled table features a wine crate panel top from Opus One. 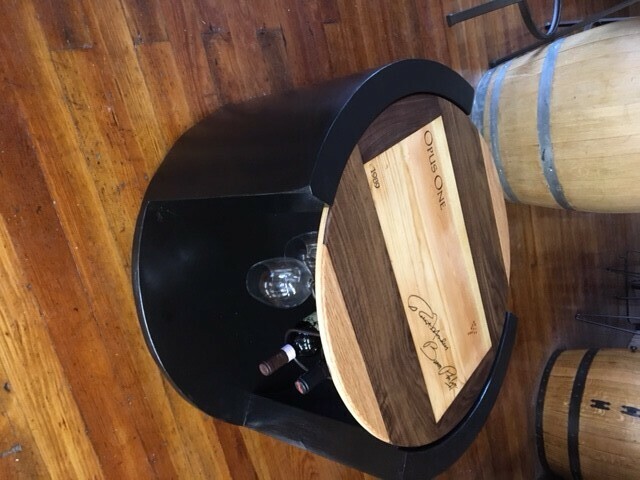 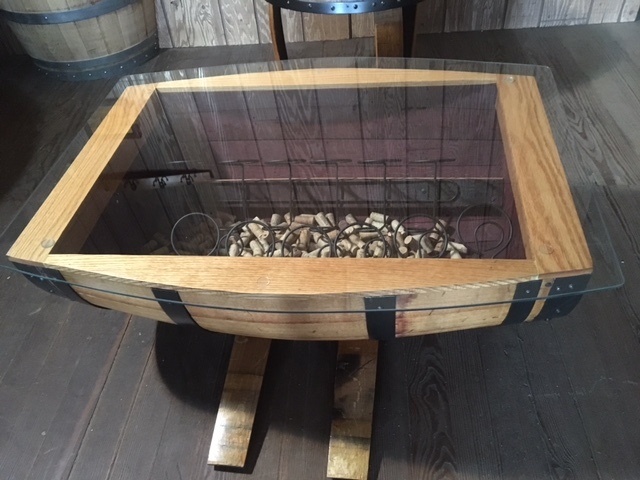 Walnut and oak accent pieces frame the original wine crate panel. 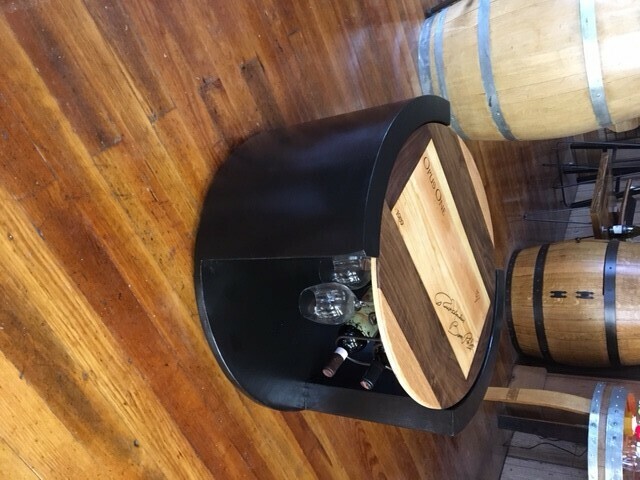 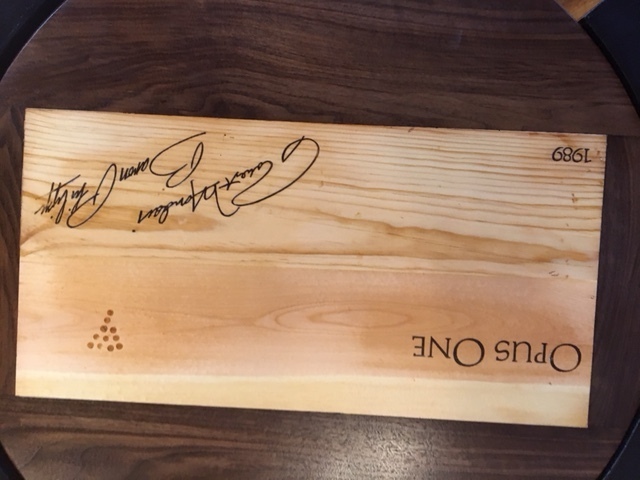 The top is finished with a furniture grade satin finish. 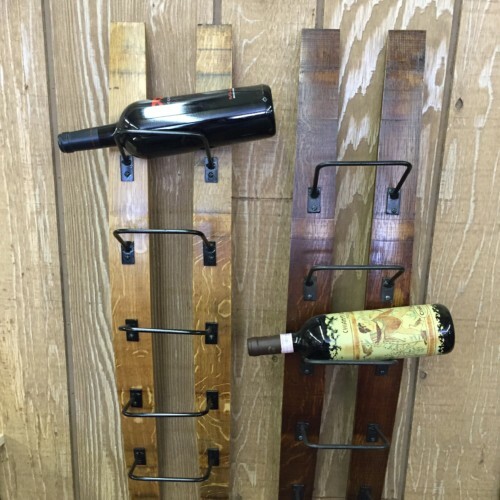 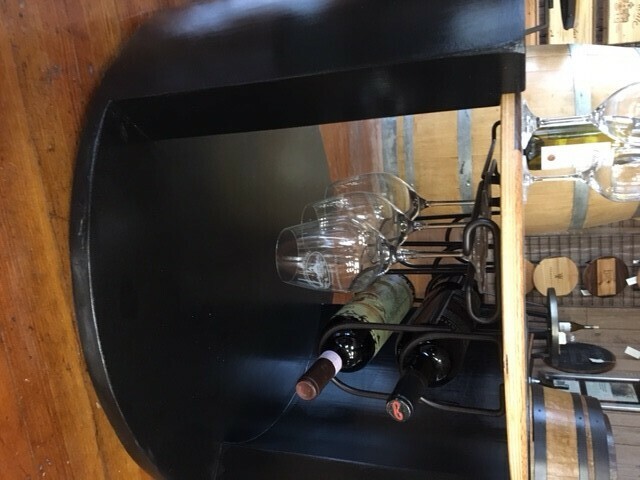 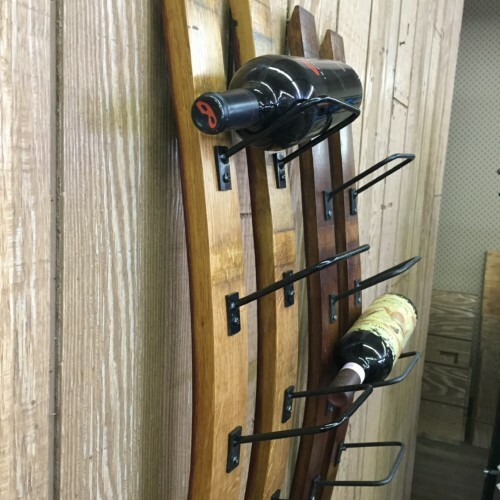 Functional oil rubbed bronze finish under-mounted wine and glass racks accommodate 4 of your favorite bottles and 6 to 8 stems. 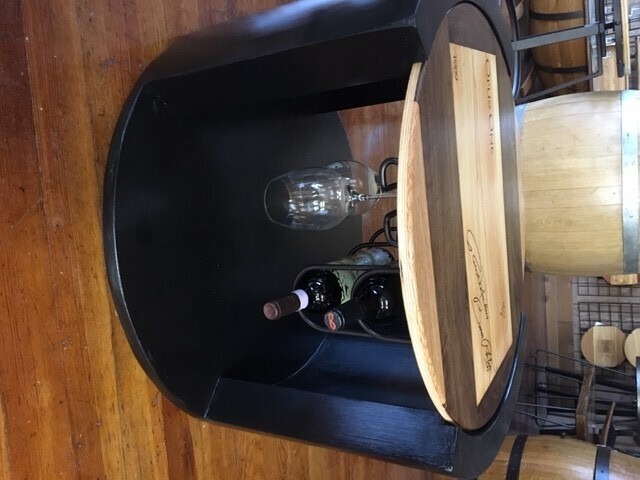 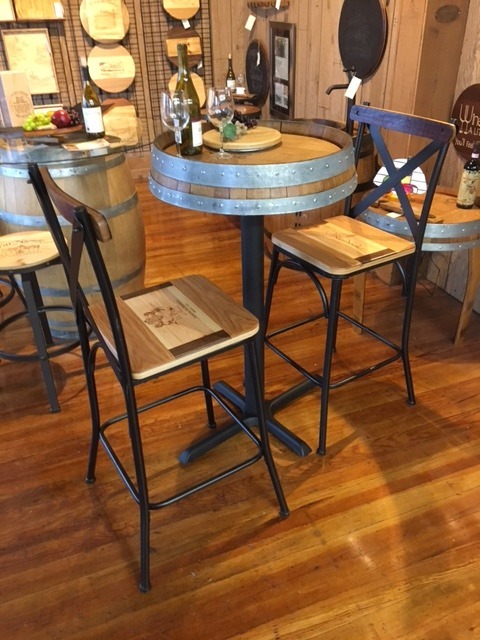 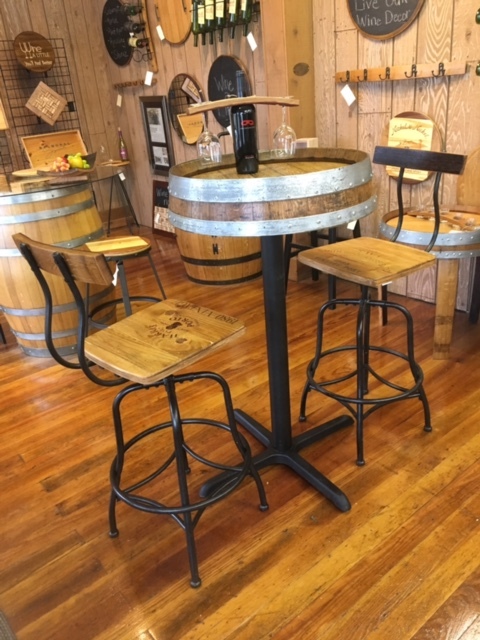 Perfect table for the wine lovers living room or between those two comfortable chairs in your wine cellar.